Broadway performer Larry Kert shot to fame originating the role of Tony in the Leonard Bernstein / Stephen Sondheim stage musical 'West Side Story'. 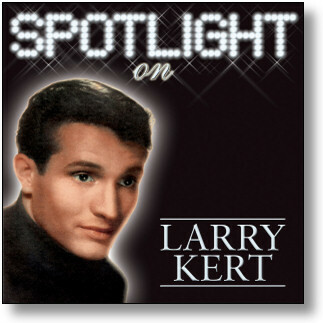 After opening on Broadway, Kert released his first solo album 'Larry Kert Sings' an ecclectic selection of calypso songs. This was later followed by the more commercial album 'Larry Kert Sings Leonard Bernstein' (presented here in stereo) - showcasing songs from 'West Side Story', 'On The Town' and 'Wonderful Town'. Throughout the sixties, Kert starred in a series of Broadway flops but returned to prominence with a Tony nomination for his role in Sondheim's 'Company' a role he reprised in London's West End. This collection marks the first retrospective release of one of Broadway's most missed and underrated performers.